The Selmer Reference series Saxophones have helped put Selmer back in their rightful place at the top of the Sax Manufacturing tree. 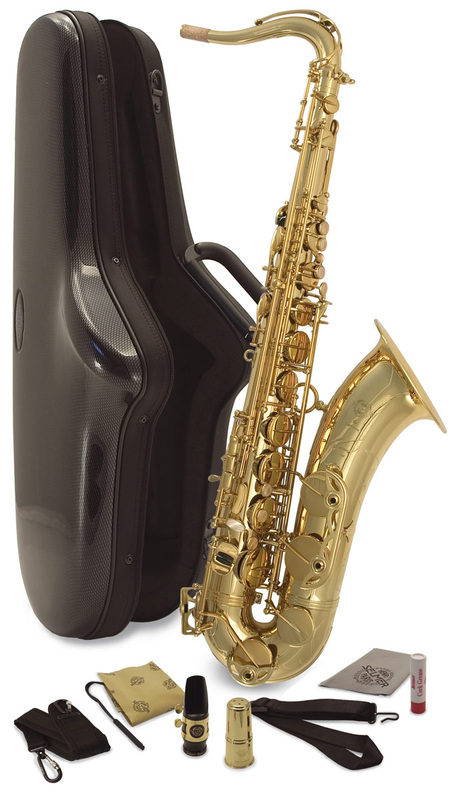 Supplied in two versions here we focus on the Selmer Reference 54: The 54 number refers back to 1954 when the famous Mark VI model was first produced. Far from being a pastiche copy the new Reference 54 takes the feel, sound and spirit of the Mark VI and re-imagines it to suit the requirements of modern Saxophonists. The Reference 54 Tenor model has a slightly narrower bow to bell junction than the wider Ref 36 model. This design feature, combined with the Mark VI dimensions on the crook, add up to give the Ref 54 a slightly more centred, punchy sound than the broader less focussed Ref 36. With a hand engraved bell and Reference series case included the Ref 54 not only plays the part but its looks match the premium quality we have come to expect from Selmer in the 21st century. This really is an amazing all round Sax for any genre in any situation. Handmade in Paris, France by highly experienced craftsmen. The Ref 54 has a narrower bow to bell junction than the Ref 36 for a more focussed sound. The Ref 54 neck dimensions are based on a classic Mark VI neck design. A perfect balance of power, projection and precision. Supplied in a deluxe Reference series case with relevant premium accessories.